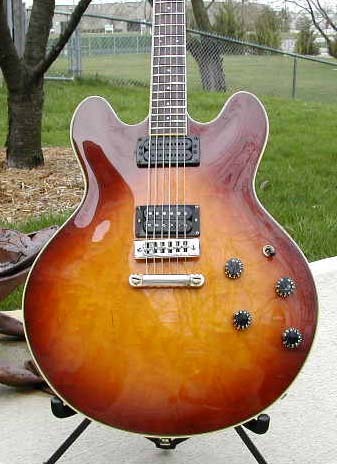 Set neck double cutaway hollowbody with no f-holes, antique sunburst finish, rosewood fretboard with dot inlay markers, open coil humbuckers. 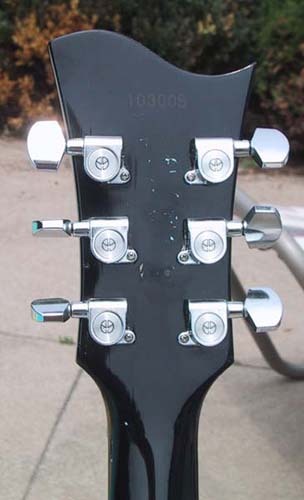 This model has clearly evolved away from copy status into the original designs of the 80's. 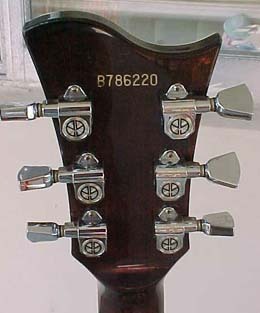 Note the serial number, high production numbers in 12/82 leading to this 7-digit example. 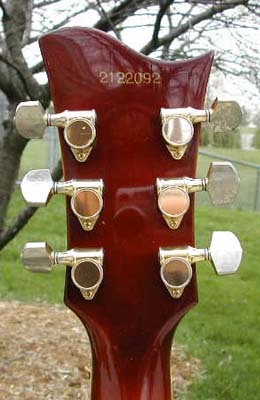 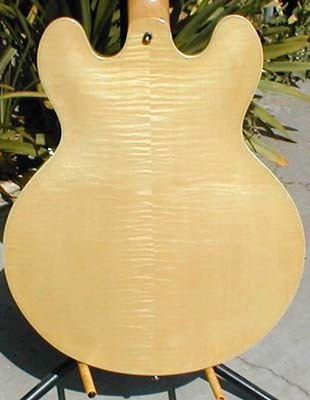 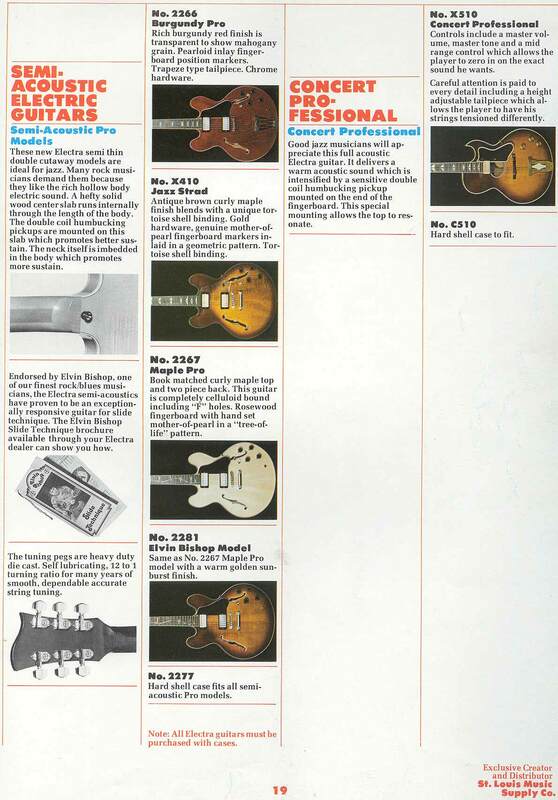 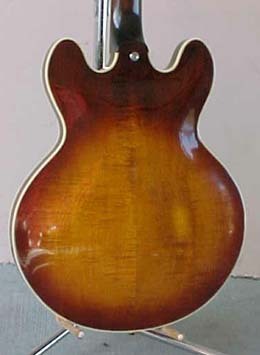 The Custom Pro was clearly intended to represent the high end of Matsumoku luthiery. 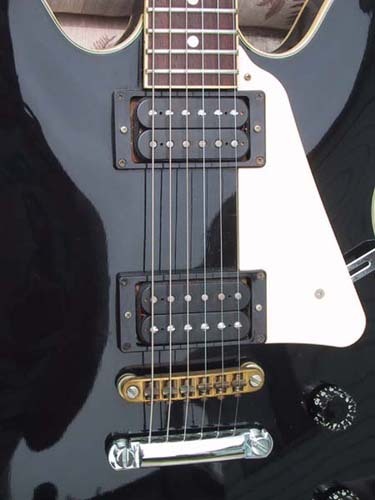 Set neck ES-335 style with black finish, no humbuckers, rosewood fretboard with dot inlay markers, brass nut and bridge, white pickguard. 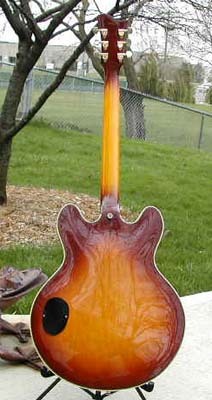 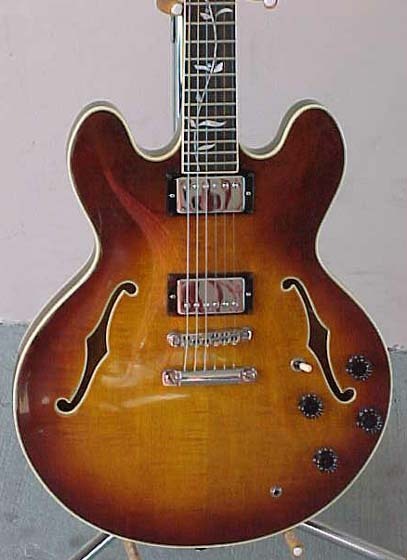 Set neck ES-335 style with antique sunburst, rosewood fingerboard with Tree of Life inlays, silver hardware, brass nut. 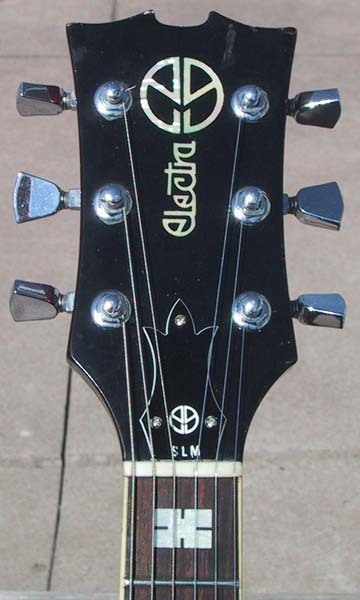 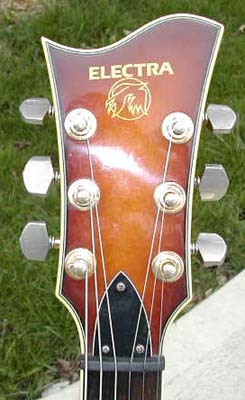 This was the first Electra model to involve a celebrity endorser- Elvin Bishop, remembered for his 1976 hit 'Fooled Around and Fell in Love' (sung by Mickey Thomas, later to join Jefferson Starship) and for his guest vocals on his song 'Drunken Hearted Boy' on the Allman Brothers' legendary Fillmore East recordings. 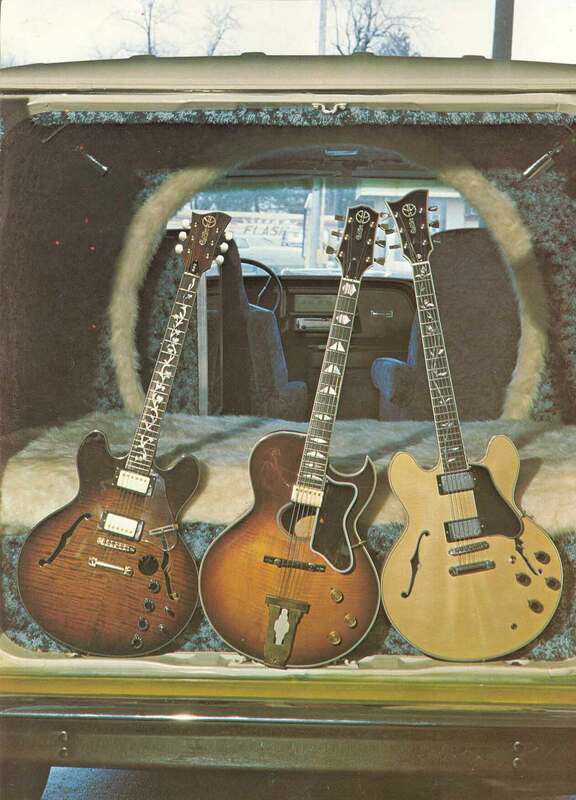 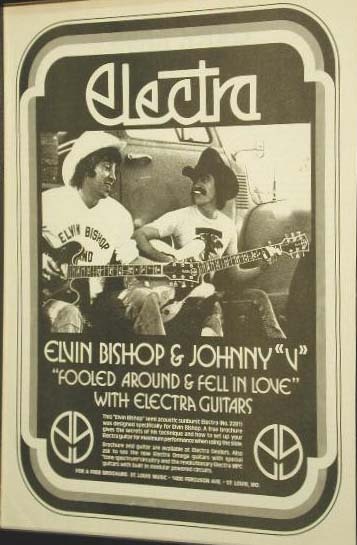 The above Electra promotional poster showed Elvin and Johhny V. (Vernassa) playing what appear to be an Electra Elvin Bishop and an Electra Maple Pro. 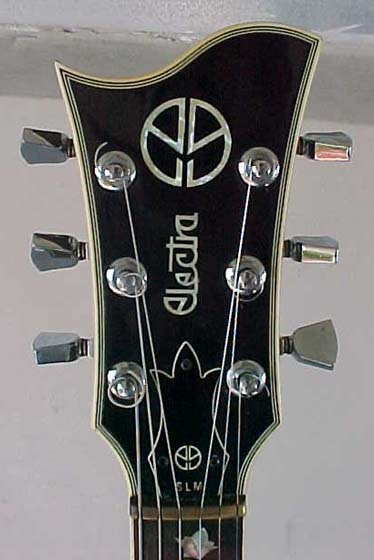 Set neck ES-335 copy with flamed natural maple top, rosewood fingerboard with Tree of Life inlay, silver hardware. 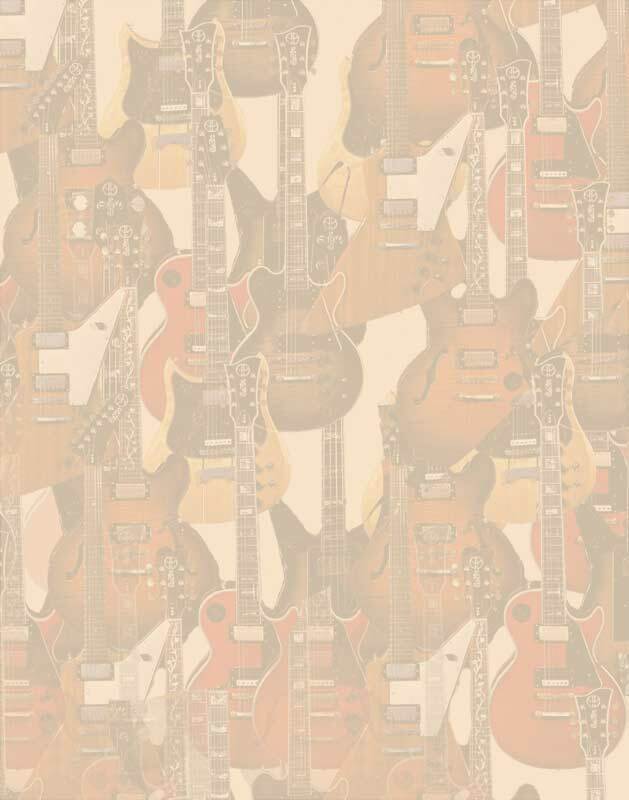 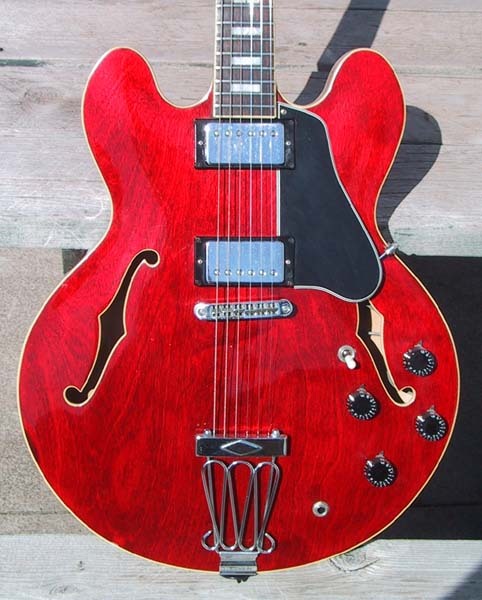 Set neck ES-335 copy with silver hardware, trapeze tailpiece, burgundy finish.